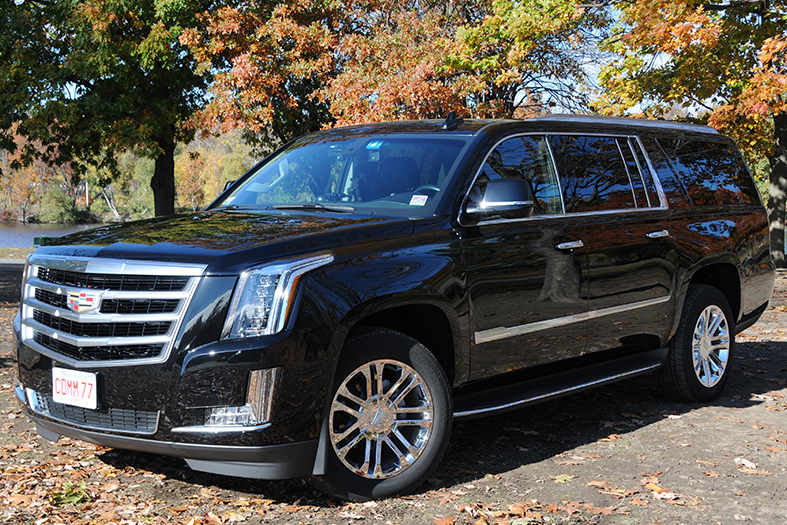 The Cadillac Escalade ESV boasts a luxurious cabin, comfortably seats up to 7 adults, and still boasts an additional 45.8 cubic feet of interior space. In addition to tremendous room, the stunning interior offers standard features like Bose™ 5.1 Surround Sound and a Rear Vision Camera. 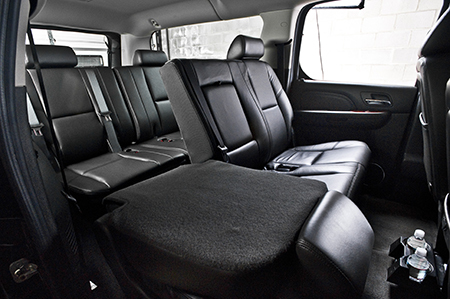 The Escalade ESV delivers plenty of space for you to ride with room to spare. 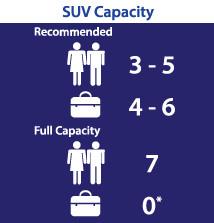 Can accommodate a 6th person in front passenger seat, or a 7th with extra seating row.